A new era begins with the latest issue of the Doctor Who Magazine, which includes an exclusive interview with new Doctor Who Executive Producer Matt Strevens. CHRIS CHIBNALL: Doctor Who’s showrunner discusses the new logo and remembers his years as a teenage fan. MICHELLE GOMEZ: Michelle reflects on her time playing Missy in this exclusive interview. OUT OF THE TARDIS: Dan ‘Strax’ Starkey answers randomly selected questions from the TARDIS tin in the return of this much-missed feature. 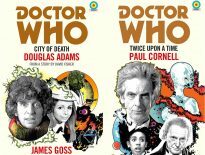 DAVID FISHER: A tribute to the late writer, whose stories include The Stones of Blood, The Leisure Hive, and the original version of City of Death. 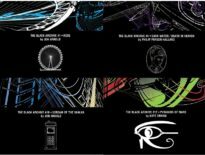 DOCTOR WHO LOGOS: New insights and previously unseen images from the designers who created one of Doctor Who’s best-known logos. JACOB DUDMAN: An interview with the actor and YouTube star, who will be impersonating the Tenth and Eleventh Doctors, David Tennant and Matt Smith respectively, for Big Finish. DALEKS IN MILWAUKEE: The inside story of a unique record-breaking attempt. RICHARD DeDOMENICI: How and why did this performance artist recreate the 1973 story, Frontier in Space in its original location? COSPLAY: Christel Dee’s guide to making your own Time Lord collar. THE FACT OF FICTION: Exploring the 2011 story, The Doctor’s Wife. THE PHANTOM PIPER: The final instalment of this comic strip adventure featuring the Twelfth Doctor and Bill Potts, written by Scott Gray and illustrated by Martin Geraghty. PLUS: The Blogs of Doom, season survey results, previews, book and audio reviews, news, prize-winning competitions, and much more! 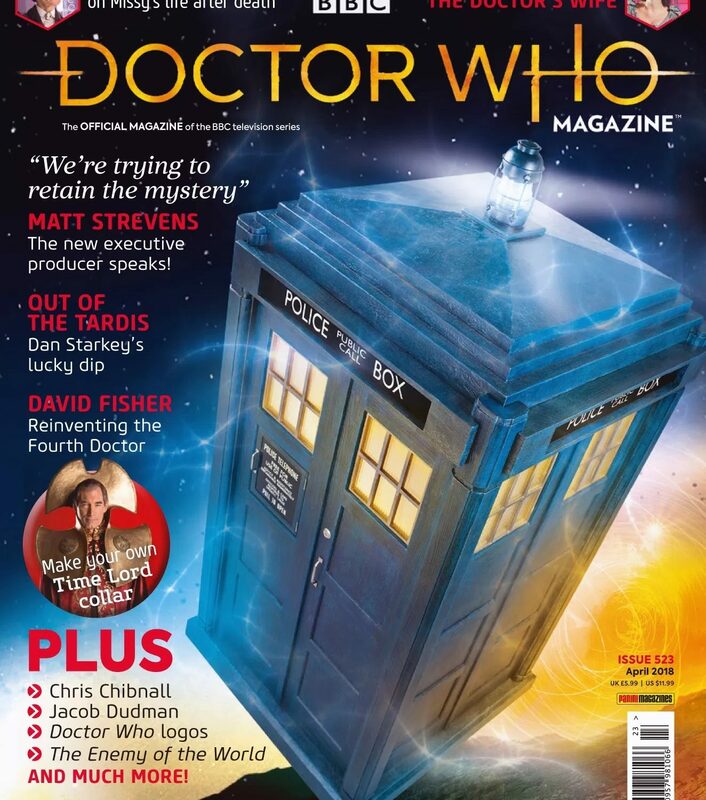 Yep, there are a few items there about the new logo – and indeed, this DWM is the first to sport it. It’s divided fans though, with some saying it doesn’t stick out on the shelves. Personally, I was worried about it on merchandise, and think it lacks the punch needed to sell, but here, I think it works well. But what do you think, dear DWC readers? Doctor Who Magazine #523 is on sale now, price £5.99.